I know I should remain calm and sceptical about announcements like this, but …SQUEEEE! A profile of Chesley Bonestell. It’s amazing to think how much of his work was produced before we had even left this planet. A breathtaking overview of Cassini’s mission. The timeline video—matching up footage from Saturn with contemporary events on Earth—is a beautiful and haunting dose of perspective. You can even watch a four hour video of every single one of the 341,805 images that Cassini has sent up till now. 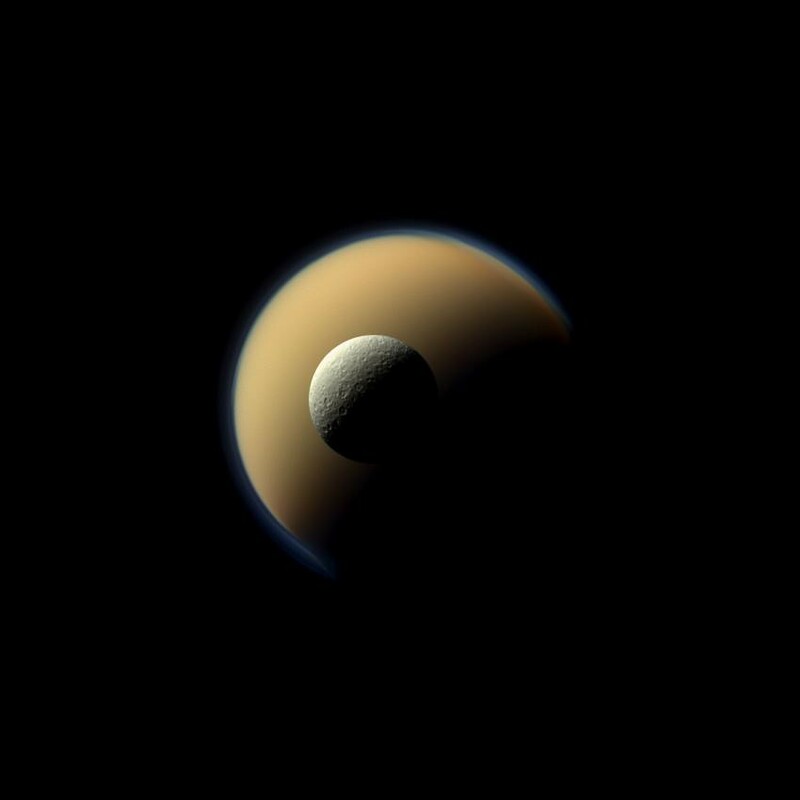 Rhea and Titan, as seen by Cassini. This picture of Saturn, taken from the Cassini probe, is literally incredible: it doesn't look real.